Two million tourists take Cayman Islands vacations each year. Most of them are cruise-ship passengers, who spend a few hours shopping, sunbathing or swimming with stingrays, before pulling out of port. Others hunker down near Seven Mile Beach, enjoying their all-inclusive resort on one of the Caribbean’s most beautiful stretches of sand. 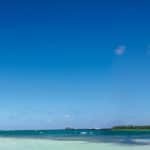 Cayman is definitely a cosmopolitan place – with nearly half the population is from somewhere else – but its rich local culture is alive and well, especially in Bodden Town, East End and Cayman Brac. Explore the North Side and the Sister Islands to discover lush forests, diverse bird life, mysterious caves and untrammeled beaches. Under the waves lie amazing underwater walls and accessible shipwrecks. Dive in. It takes only a small sense of adventure to uncover Cayman’s greatest treasures – the warm hospitality and the fantastic natural phenomena above and below the sea. 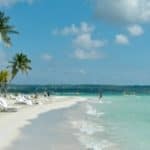 For more information the beautiful beaches of the Cayman Islands, visit our Greater Antilles Travel page. The Cayman Islands are part of the islands that make up the Greater Antilles. American citizens entering the Cayman Islands will require a valid passport. Canadian citizens Do Not Require passports, but must present proof of Citizenship, which can include a passport or birth certificate with raised seal and a photo i.d. such as your drivers license. You will be given an immigration card by the airline staff, you must keep this card with you. The main passenger airport in the Cayman Islands, Owen Roberts International Airport, is located on the largest of the Cayman Islands, Grand Cayman. The sister island Cayman Brac also has its own airport, Charles Kirkconnell Airport. These two airports serve as the Cayman Islands main ports of entry for visitors. Little Cayman is served by daily inter-island flights. Cayman Airways is the National Flag Carrier of the Cayman Islands and offers nonstop service from New York, Chicago, Dallas, Tampa and Miami. Other airlines flying to the Cayman Islands are Air Canada, American Airlines, British Airways, Delta, JetBlue, United, WestJet, and Southwest. Inter-island service between Grand Cayman, Cayman Brac and Little Cayman is provided by Cayman Airways and Cayman Express, making Cayman Islands travel quick and easy. Cayman Airways provides jet service to Cayman Brac while Cayman Express provides service four times daily to both Sister Islands. August is the hottest month in Grand Cayman with an average temperature of 85°F and the coldest is January at 77°F with the most daily sunshine hours at 11 in July. The wettest month is October with an average of 220 mm of rain. The best month to swim in the sea is in September when the average sea temperature is 86°F. The best time to visit the Cayman Islands is between March and June when the hotel rates drop. The islands are warm year-round. January and February are the coolest months with lows in the high 60’s. The rainy season goes from May through November — though showers usually only last for a few hours at a time. The islands’ location in the western part of the Caribbean shields them from being hit too hard by hurricanes. Taxis are available at Owen Roberts International Airport on Grand Cayman. This information is available from the taxi dispatcher at the curb. During your stay, taxis are also readily available from all Cayman Islands resorts and from the taxi stand at the ship dock in George Town if you take a Cayman Island cruise. Renting a car during your stay in the Cayman Islands provides the most flexibility when it comes to transportation. Visitors can get a temporary divers license at any rental car counter or at the police station. Visitors applying for a temporary driver’s license in the Cayman Islands for the purposes of renting a car must be 21 years of age. Driving on the left side of the road provides adventure and round-a-bouts provide good stories to tell when you return home. Renting mopeds and scooters are also a great way to explore the islands on your own. If cars, scooters or mopeds don’t work for you, the Cayman Islands offer taxis, buses and limos for efficient and prompt service, regardless of your transportation needs and requests. Andy’s Car Rental is the best place to rent a car in the Cayman Islands. Take advantage of their low rates on air-conditioned autos, jeeps, automatic cars and vans to cater to your car rental needs in Grand Cayman. Established in 1987, they are a local family owned business. Rent a car in Grand Cayman from them for an unmatched service. They offer up to 15% discount when you book online! Andy’s car rental is the best in Cayman car rentals as far as service, commitment, passion, and assurance of quality are concerned. There are several public buses that run throughout the different districts.The bus terminal is on Edward Street, adjacent to the Public Library, in George Town. Daily services commence around 6 am and fares start at CI $1.50. Licensed buses have blue number plates and accept both US and Cayman Islands dollars. There are a few bus stops around the island, but buses can be flagged down from the side of the road. For more information about Grand Cayman’s bus service call 345-945-5100. Pet a few dozen stingrays while wading in the Caribbean. The Stingray City Sandbar is one of the top Cayman attractions. Stingray City is home to a whole fleet of southern stingrays who congregate near the shore. The stingrays began gathering in the area decades ago when fisherman used to clean fish on the shallow sand bars. The stingrays would forget their normally shy dispositions and feast on the guts of the cleaned fish. Soon the stingrays began to associate the sound of a boat motor with food. In the late 1980s, divers started feeding squid to the stingrays, one of their favorites. As you enter the clear waters, the stingrays glide by in their natural habitat. At any time, you could be surrounded by more than two dozen friendly stingrays. An experience in Stingray City is unlike any other brush with sea life and is sure to make your Cayman Islands vacation unforgettable. For more information call 345-322-3400, or visit them on the web at Stingray City. Unbeatable daily tours and charters at affordable prices. 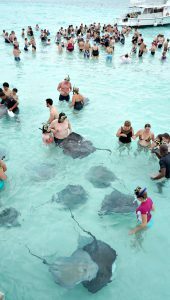 Standard 3.5 hour tours include Stingray City, snorkeling and Starfish Point for just $50 per guest 4 years and older. Free fruit punch-pizza-photos-snorkel gear-stingray food, and complimentary transport along Seven Mile Beach & Cruise Terminal. Fun, enthusiastic crew will pamper you and make your tour memorable. Best value and experience your money can get. For more information call 345-939-8178, or visit them on the web at Acquarius Sea Tours. They specialize in valet service with the smallest groups on board the biggest, newest dive boats in the Cayman Islands! Join them for daily 2 tank AM and PM trips, night dives, and private charters. All of their dives are personally guided and include transportation to their departure points. The Living The Dream Team loves to dive and will show you the best of Cayman diving. Their trips are safe, fun, friendly and professional. For more information call 345-526-3483, or visit them on the web at Living the Dream Divers. They offer the best in Cayman Islands Diving and of course, the most fun trips you can imagine! At Cayman Turtle divers, they provide a personalized dive experience with their dedicated and knowledgeable crew. At a maximum of only 6 divers, you won’t ever feel crowded! Their staff is happy to provide a full valet service, from setting up your gear to washing it and packing it for you, and their resident marine biologist is always eager to fill you in all what all the little critters are doing on your dives. For more information call 345-938-0184, or visit them on the web at Cayman Turtle Divers. Fat Fish Adventures offers Jet Ski Safaris and Private Boat Charters to Stingray City. Tours are between 2.5 hrs and 4 hrs long. 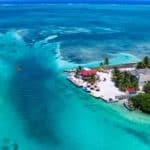 They stop at four places on the tour, Stingray City, Snorkeling along one of the reefs, Starfish Beach and through the natural wetlands of Cayman. They are an exclusive company keeping our tours private and personal. For more information call 345-327-4973, or visit them on the web at Cayman Turtle Divers. White Sand Water Sports is your one stop for all your water sport needs in Grand Cayman. No matter what your age, skill or comfort level, we have something for everyone. From high speed adventures on our Wave runner tours, to snorkeling beautiful reefs or just lounging on a water hammock, their friendly and knowledgeable staff with help you and your family make the most of your vacation. They are a small company that focuses on small group excursion where they try to provide the best service possible. 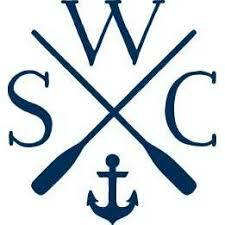 For more information call 345-916-7263, or visit them on the web at White Sand Water Sports. This quietly hip spot plays up an aquatic theme with indigo glass fixtures, black-and-white photos of bridges and waterfalls, and cobalt-and-white walls subtly recalling foamy waves. Its young, international chefs emphasize seafood, preparing regional dishes from around the globe with a Caymanian slant, emphasizing Peruvian and Italian specialties from tiraditos to tiramisu. Wine selections from lesser-known regions often represent good value, with 20 offered by the glass; the bartenders also creatively pair cocktails and food. Free tapas at happy hour and the three-course lunch menu are steals. For more information call 345-949-2482, or visit them on the web at Agua. Top Chef judge Eric Ripert’s trademark seafood makes this one of the Caribbean’s finest restaurants. Choose from six- and seven-course tasting menus (with or without wine pairing); there are also trendy “almost raw” and “barely touched” options. Sensuous options might include lobster with purple cauliflower and macadamia nuts in truffle butter, or seared turbot with braised endive in a clam–foie gras emulsion. The vast wine list showcases heavy hitters, hot new regions, and lesser-known varietals. For more information call 345-943-9000, or visit them on the web at Blue by Eric Ripert. Mariachi music, sombreros, and intricate Talavera tile work set the tone at this authentic and innovative Mexican eatery tucked away off West Bay Road. Start with the savory ceviches, or try such terrific tacos as the Tecate-battered rock shrimp, chicharrón, or fish. Sterling main courses range from salmon quesadilla to a pork chop in tamarind-orange-chipotle reduction. But the two musts are the duck confit chilaquiles and torta de cochinita pibil brimming with avocado, refried beans, pickled onions, and roasted tomato aioli, served with a heaping helping of the signature chili fries. Wash it down with magnificent margaritas. For more information call 345-949-4343, or visit them on the web at Casa 43 Mexican Kitchen & Tequila Bar. You can sit in the large but homey room decorated with Depression-era fish-themed chandeliers and vivid aquatic artworks or admire the dexterous marine maneuverings from the expansive tiered deck. Richard’s menu dances just as deftly from Asia to his Austrian home. Nimbly prepared nibbles include the wildly popular 10-ounce Brie-topped jerk burger and ceviche, but everything from chicken schnitzel to Thai seafood curry is expertly cooked to order. For more information call 345-946-7049, or visit them on the web at Morgan’s. The prime seating is on the two patios, one of which has a retractable roof. The same appetizers are served at lunch and dinner, making a fine tapas-style option. You might savor the coriander-toasted crispy octopus; the tuna-wahoo carpaccio duo, both exquisite; tenderized thin slices of panko-fried conch; or the house answer to surf and turf: pork belly porchetta and seared scallop with apple and celery all’amatriciana. The standout among the stunners: oxtail ravioli, with sprouts adding just the right crunchiness while local pepper jelly contributes just enough heat. There is a fabulous cocktail list, emphasizing modern twists on the classics, with an excellent wine list. For more information call 345-949-4321, or visit them on the web at Catch. Everything about the Minus 5º Experience Ice Bar is, well, cool in more ways than one. You don gloves and a white or black faux fur coat, then step into a futuristic space completely fashioned from ice: the intricately carved walls, the bar, the tables, the banquettes (draped in fur throws), even the shot and highball glasses. An LED light show plays off the ice sculptures, from pirates to palm trees, which the talented artists change every 8 to 10 weeks. The very chill bartenders serve you a shot, then you choose from one of eight cocktails (with names like Chilly Willy, natch), both included in the entry fee. For more information call 345-925-4002, or visit them on the web at Minus 5º Ice Bar. A celebration of all things mixology, South West Collective occupies a prime second-floor spot with a patio and enormous picture windows overlooking the harbor. The hangout offers board games, live music on Fridays (and DJs spinning genuine vinyl), a trendy loung but unpretentious ambiance. The pub fare comes at fair prices, whether lunch or such bar bites as smoked oyster dip goosed with lemon and capers or spiced beef patties with rum barbecue sauce. But the drinks are the thing, from loose-leaf teas to global artisan beers, homemade sangria or kombucha smoothies to craft cocktails (as well as the house moonshine). For more information call 345-946-3004, or visit them on the web at South West Collective. At this ultra contemporary wine store, you purchase tasting cards, allowing you to sample any of the 80-odd wines and even spirits available by the sip or half or full glass via the argon-enhanced “intelligent dispensing system.” Selections traverse a vast canny range of prices, regions, and styles. The enterprising owners struck a deal with neighboring restaurants and gourmet shops to provide appetizers or cheese and charcuterie plates, best savored alfresco at the tables in front of the handsome space. Small wonder savvy locals congregate here after work or movies at the nearby cineplex. 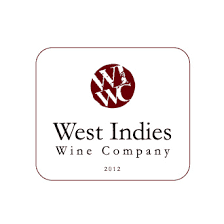 For more information call 345-640-9492, or visit them on the web at West Indies Wine Company. Nearly everything is handcrafted, from the elegant bar itself to the blown-glass light fixtures to the shot specials and cocktails with cojones. The kitchen elevates pub grub to an art form, with pizzas, Reubens, and French melts. Locals flock here for free pasta Fridays, karaoke Wednesdays, and live music on Thursdays. You might walk in on a hotly contested darts or dominoes tournament, but the vibe is otherwise mellow at this charming time-warp hangout. 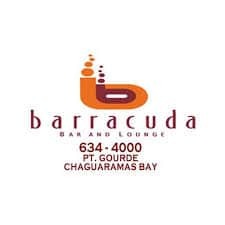 For more information call 345-948-8511, or visit them on the web at Barracuda’s Bar. 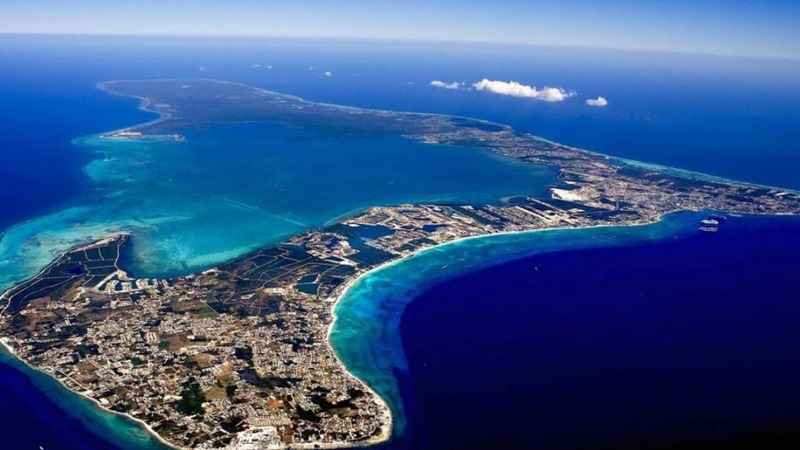 Cosmopolitan Grand Cayman Island is the largest of the three Cayman Islands. 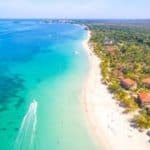 Whether you are looking for complete relaxation, exquisite dining, exciting nightlife or the awesome underwater sights of their accessible reefs, they have something for everyone. The water, the beach discover the nature that makes us beautiful. On the west side of Grand Cayman you will find the famous Seven Mile Beach, the crescent-shaped natural wonder with boundless capacity for relaxation. With sand stretching as far as the eye can see, Grand Cayman’s Seven Mile Beach is often rated as one of the most beautiful beaches in all the Caribbean – and the least populated. Take a trip into the North Sound and visit Stingray City and the Sandbar where you and your family have the rare opportunity to play with friendly Southern Stingrays. The Eastern districts of Grand Cayman features natural beauty and grace beyond our azure waters and white sand beaches. 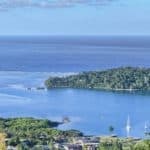 Tour through the Queen Elizabeth II Botanical Park and learn about their rare Blue Iguanas, visit the Wreck of the Ten Sail, or eat freshly caught fish in their local restaurants. Wyndham Reef Resort is located at the East End of Grand Cayman, which gives you the peace and quiet that many island hoppers are looking for. Step outside your comfortable suite onto the beach and dip into the crystal clear Caribbean waters. Spoil yourself in the Le Soleil Spa or wander down to the Beach Bar for fresh catch and delicious island delights. For the adventurous, we offer a host of beach, water and island activities. For more information, pricing, or to reserve your room, visit Wyndham Reef Resort Grand Cayman. This unique and individually themed boutique hotel will add to the general ambiance of your visit with them, which together with the outdoor facilities will provide a truly relaxing experience. In fact, their guests can choose to have an occasional day ‘on-site’ to enjoy the pool, sun deck and garden, and either using the barbecue, or ordering a tasty pizza delivery. For more information, pricing, or to reserve your room, visit Shangri-La Boutique Bed & Breakfast. Surrounded by palm trees, water front and the ocean breeze, this hotel is set in one of the most stunning destinations in the world. The hotel is the only resort situated on the North Sound Caribbean Sea, providing the most amazing sunrise views right from their sea-side pool and water front. Guests can jump on a Jet Ski and visit popular attractions such as Stingray City or Rum Point or use the complimentary shuttle to dine, sight see or enjoy nearby Camana Bay, Fosters Food Fair, Seven Mile Beach (5 minutes away) and George Town. For more information, pricing, or to reserve your room, visit Holiday Inn Resort Grand Cayman. This all-suite hotel is 70 yards from Seven Mile Beach, and less than 2 miles from the popular shops of George Town, the capital city of the Cayman Islands. Guests of Comfort Suites enjoy daily complimentary hot buffet breakfast. A casual lunch and dinner are served in the restaurant and poolside bar. One- and Two-bedroom suites at Comfort Suites include kitchens with stove top, full size fridge, microwave oven, toaster, dishwasher and coffee maker. For more information, pricing, or to reserve your room, visit Comfort Suites Seven Mile Beach. If you want to get off the beaten path and are looking for adventure on your Cayman Islands vacation, then planning a trip to visit to Cayman Brac is a must. Named for its breathtaking 140 ft bluff, the “Brac” is a rugged and charming 14 square miles and provides adventure seekers and nature lovers with the opportunity to get up close and personal with some of their islands’ most dramatic scenery, exotic flora and fauna. Cayman Brac’s crystal clear, warm waters provide awe inspiring wall dives, shallow diving and wreck diving at all levels and interest, making for a dream Caribbean dive vacation. All ages can enjoy some of the most popular Caribbean diving locations on Cayman Brac. Back on land, you can enjoy lush green forests throughout the island which are home to over 200 species of birds. Bird watchers will also delight in the 180-acre parrot reserve which hosts the rare, endangered Brac Parrot. Frigate birds, brown boobies, and peregrine falcons can also be spotted in their natural environment. Only a thirty-minute plane ride from Grand Cayman, you’ll feel as though you’re worlds away along the serene shores of Cayman Brac. Le Soleil d’Or sets a new standard in ultra-private luxury. By blending European, Mediterranean and Caribbean influences with 5-star amenities and a 20-acre organic farm, the ultimate in perfected comfort is created at this beachside sanctuary. Just one hour from Miami, the resort is far enough away to make you feel as though you’ll never be found again, or at least not until you have been rediscovered. For more information or to reserve your room, visit Le Soleil d’Or. The least developed and the smallest and most tranquil of the three Cayman Islands, Little Cayman is the definition of “an island getaway.” The beautiful island offers seclusion and striking scenery everywhere you look, making it the perfect honeymoon island and a top Caribbean destination. On Little Cayman, you’ll find privacy and total relaxation. Bask on empty beaches that seem straight from a magazine, with soft white sand and only the wind blowing the palm trees to disturb you. Take a bike or rent a scooter and meander your way around the island, just remember that iguanas have the right of way. Visit the South Hole Sound Lagoon for a private swim in water that is every shade of blue or row out to tiny, deserted Owen Island to enjoy a view of nature in its most pristine form where you can enjoy an island getaway experience so real, you’ll feel as if you were the last person on Earth. As divers in the know will tell you, much of the islands’ beauty lies beneath the waves. Bloody Bay Wall Marine Park is one of the most popular dive sites with adventure seekers from around the world, it’s full of life and vibrant color and is famous for its dramatic drop offs and swim thru. Many of the fifty plus unique Little Cayman dive sites along the wall start off as a shallow snorkeling areas before descending into the expanse of wall with colorful coral gardens and exotic sponges. The waters of Little Cayman are home to lobster, octopus, eagle rays, reef sharks, turtles and every variety of tropical fish. Little Cayman is also home to the largest colony of Red-Footed Boobies in the western hemisphere and a visit to the Visitor’s Center at the Booby Pond Nature Reserve is a bird watchers dream. Along with 20,000 Red-Footed Boobies, the reserve is also home to around 350 magnificent Frigate Birds. Little Cayman Escape is a unique, 3-bedroom, 2-bath (sleeps 9) villa on the beach in charismatic Little Cayman—the smallest and least populated of the Cayman Islands. With its circular architecture (including wraparound terrace), secluded location, and big windows overlooking the Caribbean, a stay at Little Cayman Escape feels a little like staying in a huge tropical lighthouse. For more information, pricing, or to reserve your room, visit Little Cayman Escape. Looks like Cayman Islands is a great place for a vacation! I have heard of Cayman Islands before but not visited it yet. Your guide on places to visit and things to do will come in handy when I plan my next travel destination. 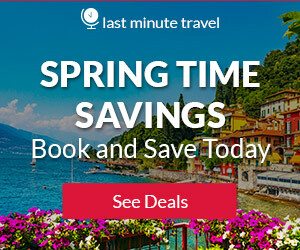 Which months are the best to visit? You are such a Pro at what you do, I keep coming back to your site because everything here is so well put together. I love traveling and have been to many places in the Caribean, but never the Caymen Islands. I almost feel like Im on vacation just reading your blog 🙂 Maybe this will be my next destination. Thank you and keep on blogging. I always love reading your very informative destination guides. Coming from the Caribbean myself, I truly believe in the tourism industry. However, I’ve always seen the Cayman Islands as a tax haven, never really thought of it as a tourist destination. But from your guide it is much more successful than I thought. I mean, 2 million tourists each year is a lot. That’s as many visitors that land in Jamaica each year. So congrats to the Cayman Islands. What I particularly found attractive in your guide is the Stingray City. I would definitely love to do that one day. Awesome review! I’ve heard a few times about Cayman islands, but I’ve never considered it as a candidate for a vacation. After reading your review and seeing the video, I’m more than sure that somewhere in the following 2-3 years I’ll get there! Thank you for writing such a complex review! You are welcome Andrei! I am glad I nudged you into considering a beach vacation to the Cayman Islands. You will have a fantastic time! Thanks for visiting! Wow… I love this site! So much information available on each page. The links work well from page to page and the images are so inviting. I can do with a holiday. You seem to have thought of everything even facebook and twitter links. Ideas of US beaches is a great idea to. I will be coming to you when I need my holiday for sure. I have bookmarked this site. Thank you Susan, and yes more beach destinations to come 🙂 I try to provide everything, so that when you plan you have it all. Thanks for reading! Wow, great site with a ton of information! I went to the Cayman Islands many years ago on a cruise. reading your site made me feel like I missed most of it!! It makes me want to go back and get a better experience! Thanks again for a thorough site! Your are very welcome Steve! Thank you for visiting the Cayman Island Vacations! For sure one of those beach destinations that all should experience. Oh my, this is a wonderful guide read for Cayman Island. I never know its such a lovely place with blue water views. 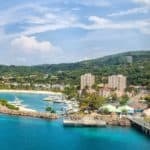 I have heard of Cayman Island as a place for offshore funds but never thought it would be a perfect destination for holiday. You mentioned rainy season in May through November, will it shower the full whole day or just occasional 1-2 hours? No, that is the nice thing. The showers do not last all day. As you say, you will see maybe a couple hours of rain a day. Perfect beach destination to visit all year round. I really appreciate this information. My wife and I went to St. Vincent and the Grenadines in May and we could have used such a guide. It makes for a more pleasant trip and takes the worry about where to go and what to do next out of the picture. This also gives people who want to go to this place, an idea of where to start and how to plan. Yes, it does give a place to start and plan 🙂 I am glad you enjoyed reading about Cayman Island Vacations. Thank you for visiting! I love this! I am a travel blogger too but have never been to the Caymans and Ive been told by just about everyone that its amazing and i need to go. I love the list of things to do. That ice bar sounds amazing.. Definitely on my must-do list. Thanks for sharing! You are very welcome 🙂 Thanks for visiting! Your site is so enriching and full of information! I have been wanting to go to the Cayman Islands and am really in the planning stage. I am glad I found your site and this very informative post on the Cayman Islands. I was wondering if you can tell me what times of year are not good to go? Thanks so much! Thank you and I am glad you found my site useful and informative for your upcoming trip to the Cayman Islands. Really there is no bad time of year to visit. The weather is good year round. The only thing that could postpone your trip would be an upcoming hurricane. So, just keep an eye out for the weather right before making your plans. And please let me know if I can help in any way! I have to say, I really like this site, as a frequent traveller myself, I found it very informative and easy to navigate. The functionality of your site is really impressive, you have your social media links, links to reviews and purchasing, banners etc. Love the layout. If I had one thing to say that was missing was maybe a call to action, to capture your potential clients details, like a email capture page that pops up or even an area that is quite visible to capture this information. So you can mail potential customers with deals, newsletters, updates etc. Hope this helps? What are your thoughts? Yes, Stuart it does help. I have been trying to figure out a way, and what to offer with a call to action. I want it to be good and I don’t want to have to “redo” it. Maybe you can tell that I am a bit of a perfectionist and like to do things right the first time. Does not always work that way, but thank you for your input and for visiting BeachTravelDestinations.com!